Sure, the 2019 Ram Heavy Duty lineup features some big trucks. But around these parts, they come even bigger. 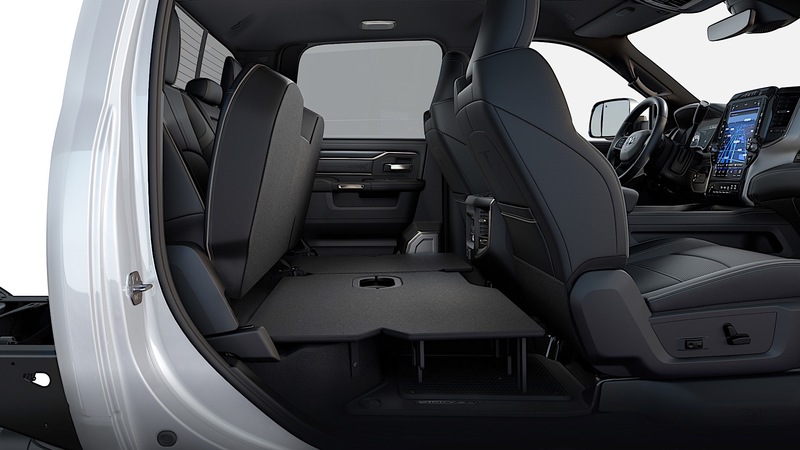 Chassis cab models are trucks without the bed, designed to be upfitted for the most grueling work around the country. Following the successful reveal of the Heavy Duty, Ram is showing off its updated chassis cab lineup of trucks in Chicago. 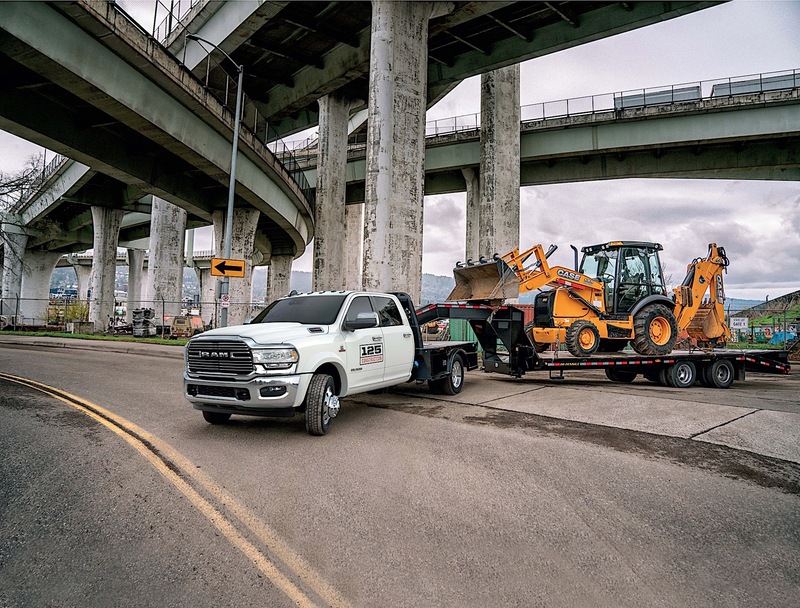 New for the 2019, when properly equipped, Ram Chassis Cab has class-leading 35,220 pounds of towing, a payload capacity of 12,510 pounds, and a Gross Combined Weight Rating (GCWR) of 43,000 pounds. Helping get there is the new Cummins diesel with 360 horsepower and 800 pound-feet of torque. Why not 1,000 pound-feet? Duty cycles in these commercial trucks are different than in normal customer vehicles, so they're rated with respect to that. The 800 pound-feet, by the way, is still class leading in Class 4 and Class 5 trucks. 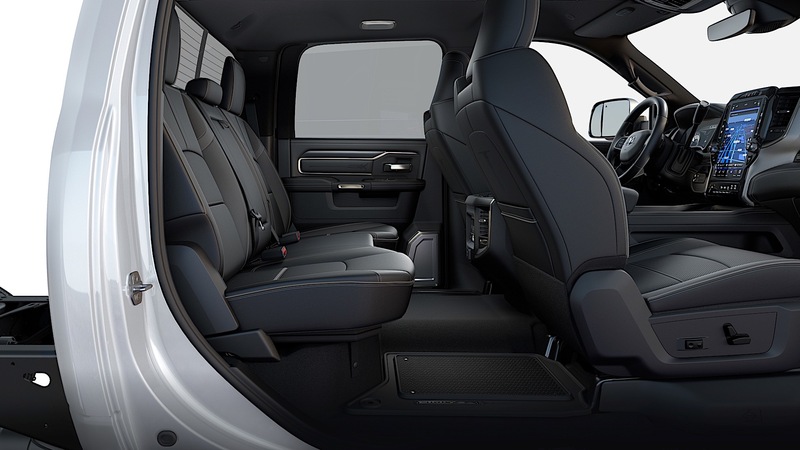 Chassis Cab is available in 3500, 4500, and 5500 guises. They're also offering a 10,000 pound Gross Vehicle Weight Class 2 truck, too. 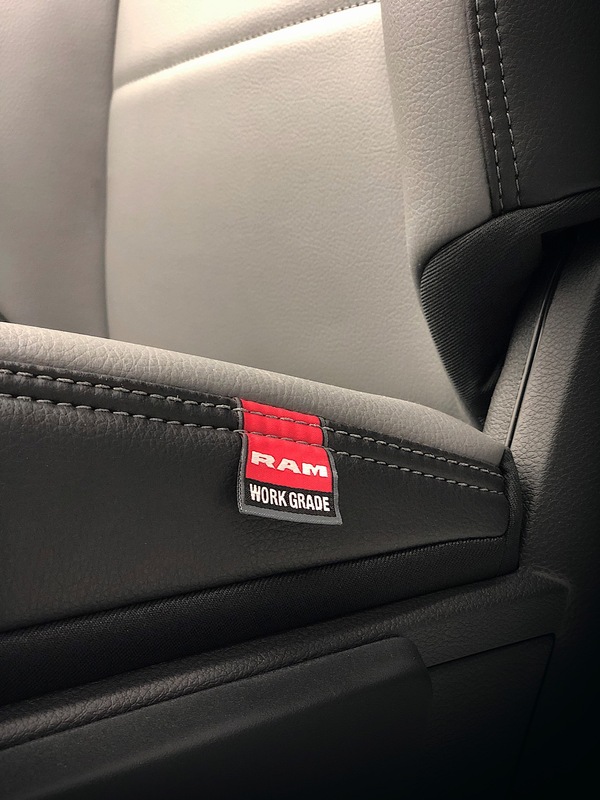 Ram says in a release that it has a "no-nonsense attitude" when it comes to the differentiation of trucks, with four distinct price and GVW classes. Ram moved to 97-percent high-strength steel frames on the new truck, which made everything stronger and lighter. The automaker is claiming a weight reduction of 120 pounds while retaining torsional rigidity and still making it easy for upfits with zero component interference above the rear axle. 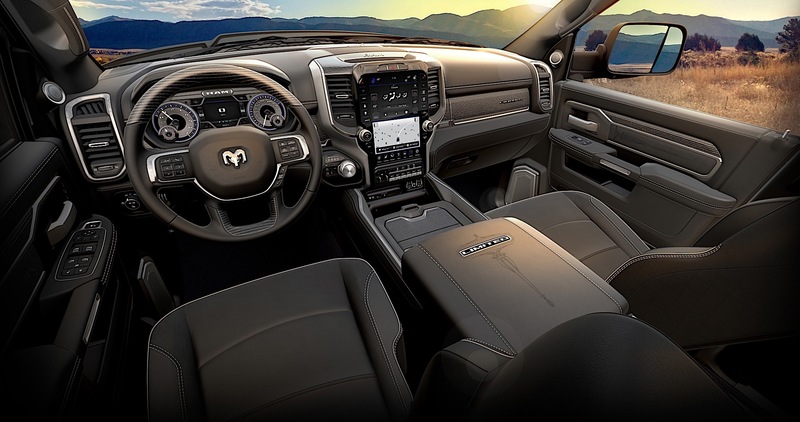 The new Ram Chassis Cab also has some technological firsts, including autonomous emergency braking that works with the trailer brakes, forward collision warning, and adaptive cruise control. 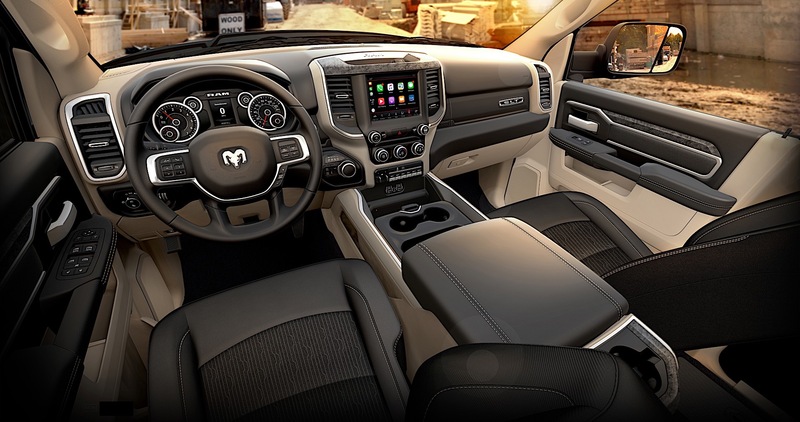 The 12-inch reconfigurable touch screen from the pickups also makes its way to the Chassis Cab models. There's a 270-degree camera system plus front and rear parking sensors to make maneuverability a breeze, and a cargo-view camera is there to make hooking up to a fifth-wheel easy-peasy. Like on the new Heavy Duty, Chassis Cab trucks have tire pressure sensors that support up to six wheels and up to 12 trailer tires from four different trailer profiles. But all of this doesn't matter if you can't easily upfit it for work. The power take-off (PTO) options for the truck support both left- and right-side components, and the onboard electronics can interface with 70 different modules from the aftermarket. 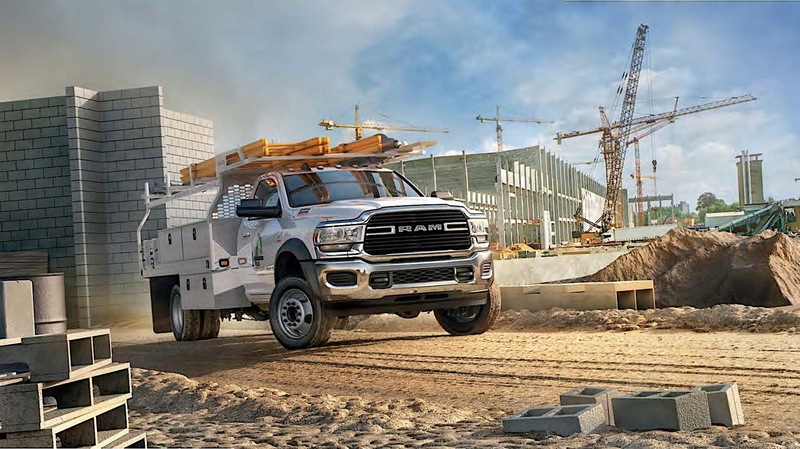 It's the most upfitter-friendly Ram Chassis Cab ever. 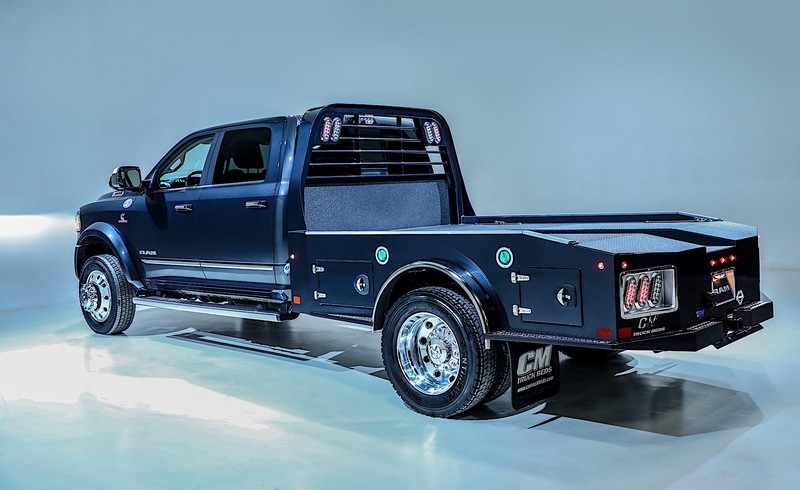 Chassis Cab is one of those trucks that you buy because you need one, but it's clear Ram is taking what makes its pickup truck offerings successful and are bringing that to the new work truck. You can check it out at the Chicago Auto Show now, or hit up your dealership later this year.